Did you know that 46% of Americans think that the theory of evolution is contrary to the teachings of their faith? That does not bode well for the future of Christianity nor for education about science. It is time for the Presbyterian Church to be a leader and to unequivocally support science. You don't have to lose your brain to gain your heart. This overture requests the General Assembly to join other faith bodies, like the Methodists, and endorse the Clergy Letter Project and the Christian Clergy Letter. I sent it as a commissioner's resolution last time. This is the speech I gave before the committee so you can understand why so many of us think this is important. Michael Zimmerman, founder of the Clergy Letter Project, wrote about the decision in his Huffington Post Column, Evolution and the Presbyterian Church (Not Quite the Relationship It Could Be). This time, I hope it will go as a presbytery overture and carry more weight than I can as an individual. On October 15th, the session of Southminster Presbyterian Church sent the following overture to Cascades Presbytery. The change from last time is the removal of Evolution Sunday. If Cascades approves we will still need another presbytery to concur. Can you give it a try? As a scientific theory based solidly on extensive scientific evidence, it has shaped our thinking in the natural sciences and has become the underlying theory for numerous medical advances. As a scientific theory it does not contradict the existence of God, but can be seen as a natural, creative process in God's creation. It is important for the Presbyterian Church (USA) to be clear that people do not need to reject Evolution to affirm their faith. Reaffirms that God is Creator, in accordance with the witness of Scripture and the Reformed Confessions. 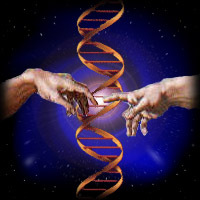 Reaffirms that there is no contradiction between an evolutionary theory of human origins and the doctrine of God as Creator. Encourages State Boards of Education across the nation to establish standards for science education in public schools based on the most reliable content of scientific knowledge as determined by the scientific community. Calls upon Presbyterian scientists and scientific educators to assist congregations, presbyteries, and the public to understand what constitutes reliable knowledge. Other denominations have also recognized the compatibility of modern science and theology. For example, The Book of Discipline of The United Methodist Church - 2008 states, in part, "We recognize science as a legitimate interpretation of God’s natural world. We affirm the validity of the claims of science in describing the natural world and in determining what is scientific. We preclude science from making authoritative claims about theological issues and theology from making authoritative claims about scientific issues. We find that science’s descriptions of cosmological, geological, and biological evolution are not in conflict with theology." The Clergy Letter Project, www.theclergyletterproject.org founded by Dr. Michael Zimmerman, and signed by over 13,000 Christian clergy has helped clergy and congregations present the scientific theory of Evolution in a manner that respects and engages a thinking faith. Time for a Theological Upgrade?